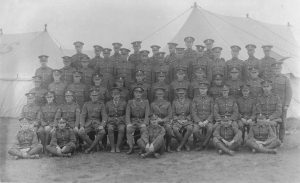 Sussex Heavy Brigade, Royal Artillery, 44th (Home Counties) area at Langdon Fort. 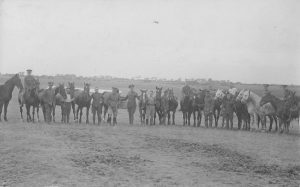 The Brigade was under the command of Col. W.H. Darell, C.M.G. , D.S.O. 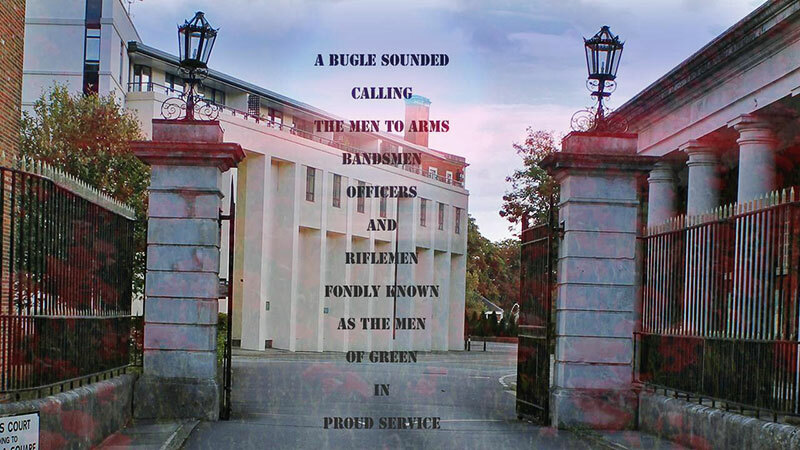 , Irish Guards. 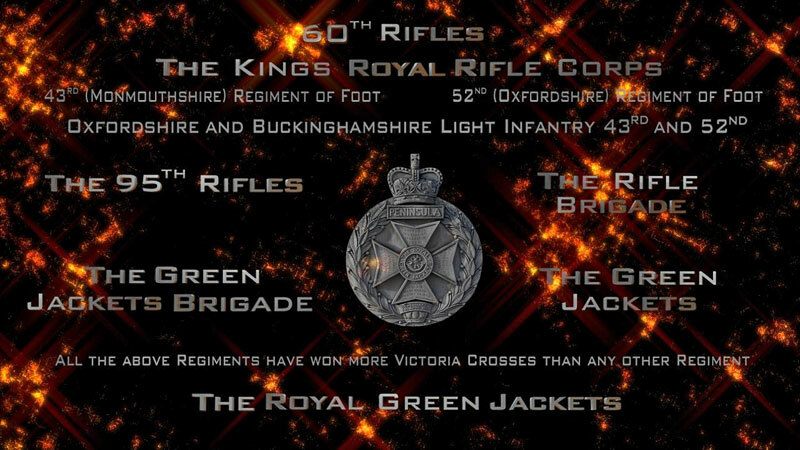 The Brigade Major was Major C.F. 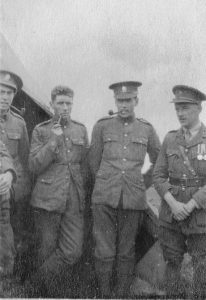 Fleming, Irish Guards. The Camp had a total strength of 1,400. 6.30 Reveille and parade for P.T. Signalling practice was also carried out including radio equipment mounted in a lorry and collapsible masts. Communications were established with other camps across the country in Morse. 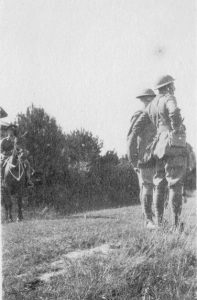 Lord Cavan, Chief of the Imperial Staff, inspected the troops at the end of the first week of the camp. In heavy rain he, accompanied by the Brigadier and Major General Sir William Thwaites inspected the training areas. 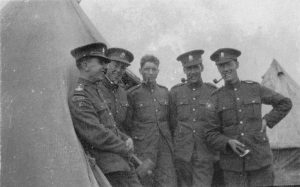 Thwaites also made presentations to the Officers and Other Ranks under his command on the concourse of the WW1 airfield. In the second week battalion training was carried out on the cliffs to the north of the Dover – St. Margaret’s Road. Competitions were carried out for the smartness, orderliness of kit, bedding, blankets and more. Marks were awarded, updated daily, the winners receiving the ‘Lady Turner Cup’. 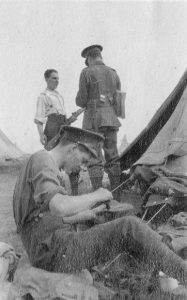 The Camp departed Swingate at 6am on 16th August and the men were transported by rail to London. 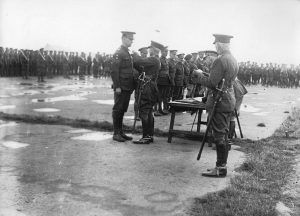 On the old WW1 airfield, Major General Sir William Thwaites presents an award to Company Quarter-Master Sergeant John Andrew Douglas Lansdell of the Artists Rifles. 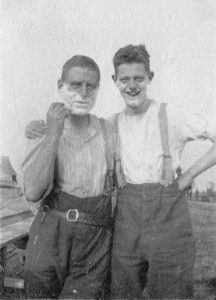 CQMS Lansdell, nicknamed ‘Slippy’ or ‘Slip’, was born on the 23rd January 1896 in Streatham in London and grew up in Camberwell. He was the son of the Rev. Frederick J. Lansdell who, in 1901, was a C&E vicar at St. Barnabas in the Isle of Mann. His mother was Alice Ann Lansdell and was educated at the St. John’s Foundation School for the Sons of Poor Clergy of the Church of England. 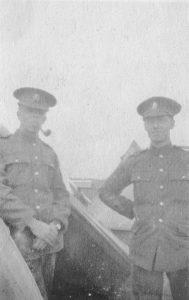 He was in the pre-war London Regiment as Private 1223 but attested to the Artists Rifles as a private in 1913 and was given the number 760087. 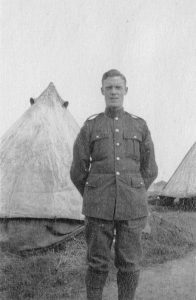 He volunteered for Imperial Service, joined the British Expeditionary Force in 1914, joining the 1st Battalion of the 28th. He ended the war as a CQMS, No. 6791195, and was awarded the British War Medal and the Victory Medal. From 1936-1938 he lived at The Elizabeth Cottage in Felbridge in Surrey and from there moved to The Old Malting, Old Castle Whaff, Teddington. 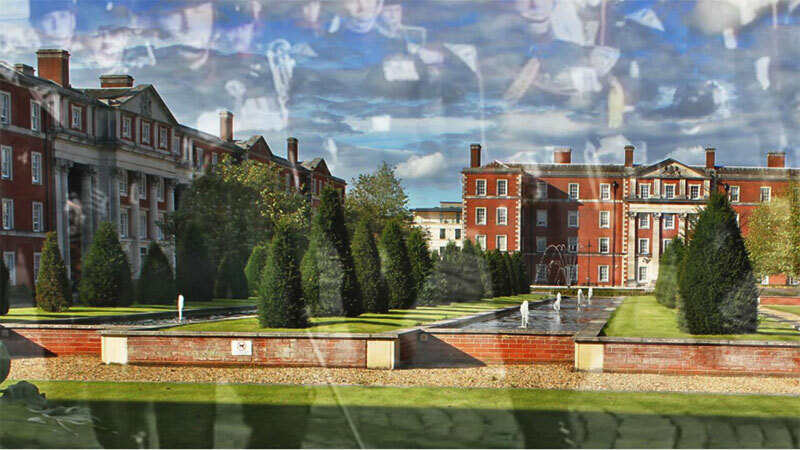 On the 7th January 1948 he was commissioned as a Lieutenant in the Army Cadet Force. He died on the 25th June 1976 at Beauford Winkleigh in Devon. Sgt Scotchner Sgt Bernays Russe. Dr. Walter Campbell Smith was born in Solihull on 30th November 1887 and educated at Corpus Christi College, Cambridge. He gained a First Class degree in Mineralogy and was appointed to the rock collection at Cambridge Museum in 1910 to work as a petrologist on over 10,000 specimens. In 1912 he studied rocks collected on Captain Scott’s ‘Terra Nova’ expedition. 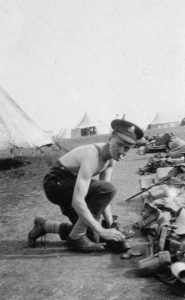 At the outbreak of World War One he joined the Artist’s Rifles as a Lance Corporal and was later seconded to the Royal Engineers Special Brigade, rising to Lieutenant-Colonel by 1918. 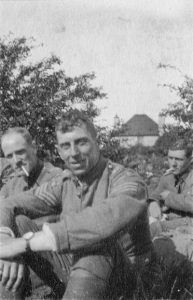 He fought on the Somme and was awarded the Military Cross in 1917. Demobilised in 1919, he continued with the Territorials after the war, being appointed Brevet Lieutenant Colonel. He was secretary of the Geological Society in London from 1921-35 and became a governor of Royal Holloway College. 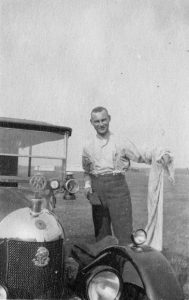 He travelled around Europe from 1927 and North America in 1933, married in 1936 to Susan Finnegan of the Department of Zoology. He published over one hundred scientific papers including subjects such as meteorites, sea floor geology and hand axes. Until 1941 he remained with the Artists as second-in-command of the 163 OTCU. After the Second World War he worked to restore the mineralogy gallery following bomb damage. In 1948 he was appointed Deputy Chief Scientific Officer of the British Museum of Natural History, a role which he retained until 1952. He was awarded the CBE in 1948. He continued to work for the museum until 1965. He died on the 6th December 1988 at his home in Goudhurst in Kent at the age of 101.